Recently we posted a blog about ‘Kylie’, a term apparently coined by former Treasurer Peter Costello: ‘Then he thanked the Opposition for asking a “Kylie” – an “I should be so lucky” question giving the Government a parliamentary free kick.’ (2004 Adelaide Advertiser, 2 Dec.) As any Gen Xer will know, ‘I Should Be So Lucky’ is the title of one of the songs that made Australian singer Kylie Minogue famous. We noted that this new sense of ‘Kylie’ is not an established usage; it is not widely used, and is always followed by a mention of the song title as an explanation of the term. 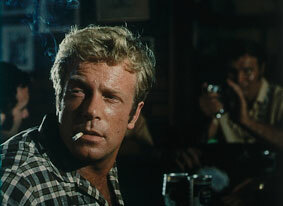 Bloke in bar: On the wagon, Jack? Jack: No. 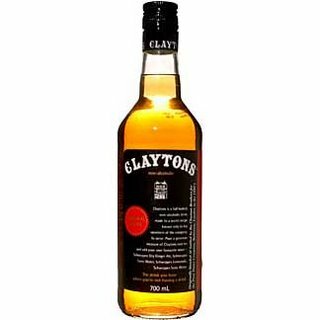 When I don’t feel like alcohol, I have Claytons. Voiceover: Claytons. The drink you’re having when you’re not having a drink. Clayton’s gained rapid acceptance through the 1980s and 90s. Frequently its use followed the original wording of the ad closely: ‘It was a Claytons budget–the sort of budget you have when you’re not having a budget’ (Perth West Australian, 24 Aug. 1983). Eventually the word’s popularity meant that we all knew the line that followed and did not need to have it spelt out for us: ‘Andrew Peacock, still smarting from his unsuccessful Clayton’s campaign, must be wondering what he has done to anger the gods’ (Melbourne Herald, 20 Aug. 1989). It quickly became an established Australian term. Recent evidence shows that Clayton’s usually occurs on its own, although sometimes the phrase still follows. This entry was posted in popular culture, slang and tagged advertising, Clayton's, Jack Thompson, Kylie by Julia Robinson. Bookmark the permalink.